The Cystic Fibrosis Foundation’s Xtreme Hike event takes hikers through some of the most scenic trails in the nation — across dozens of locations — to raise funds and awareness for cystic fibrosis. Xtreme Hike is about reaching new heights – physically and philanthropically. It’s a journey of passion, determination and personal triumph, as much as it’s an opportunity to make a difference in the lives of people with CF. 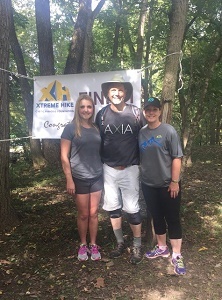 Xtreme Hike continues to grow nationally each year, as do our efforts and the progress we’ve made in our mission to find a cure for cystic fibrosis. Real progress has been made in research and drug development, but the lives of people with cystic fibrosis are still cut far too short. Won’t you join us in continuing the search for a cure? Accept the Xtreme Hike challenge today and help add tomorrows to the lives of those living with cystic fibrosis. The CF Foundation Is On Twitter! Follow us on Twitter and use the #CFXtremeHike hashtag for updates and to join the conversation with others from the CF community! The health and well-being of people with cystic fibrosis is our top priority. Medical evidence shows that certain bacteria can be passed between individuals who have CF, which can lead to worsening symptoms and speed decline in lung function. To limit the serious risk of cross-infection between people with CF, only one person with CF may be invited to attend any indoor CF Foundation-sponsored event. 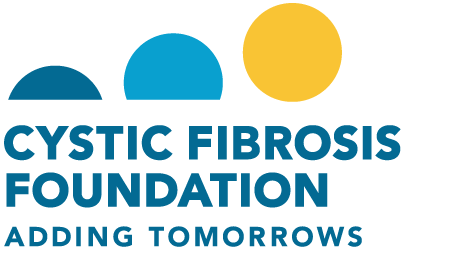 Please note: People with CF and their families should be aware that individuals with CF might choose to attend Foundation events or meetings without notifying event organizers. We strongly discourage this; however, we cannot guarantee that only one person with CF will be present at any indoor Foundation event. For more information, please call us at 1-800-FIGHT-CF.